Contact us for full details and to learn about other monthly packages. *May be subject to enhancement fees based on the original retail price. Contact us for full details. Allows a user to move historical payables transactions (in history) back to OPEN and "unapply" without voiding the payment record. Provides the ability to back out a payment that was mistakenly applied to the wrong customer without additional documents. No more worrying about when to close AP and AR. Regardless of when you close, SummaryRecalc will recalculate and reset the “Year-to-date” and “Last Year” numbers on the Vendor Yearly Summary and the Customer Yearly Summary so that your reports are correct. 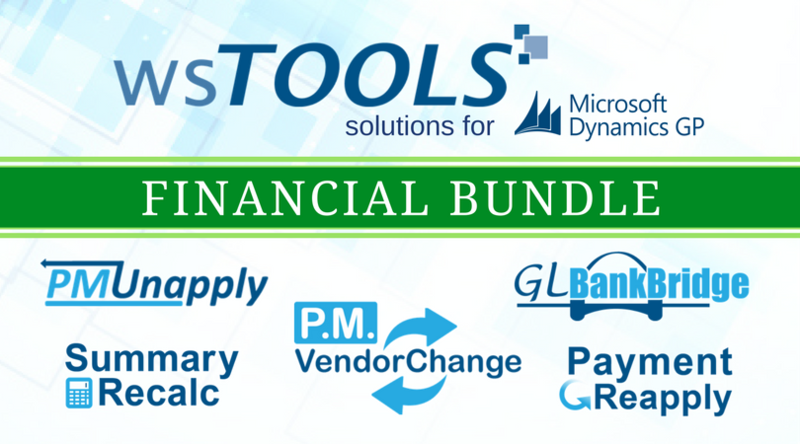 Allows you to easily change the vendor on an unposted payables voucher rather than having to delete the voucher and re-key the purchase details and distributions when the incorrect vendor was selected. During the entry of a transaction to an account that is attached to a checkbook, provides the user with an option to automatically create the corresponding transaction in the bank rec module. This eliminates the time and effort needed to manually enter a correcting entry in bank rec. Avoid the perils of “payroll voids”…PayrollRewind allows a user to void a check and reverse the ACH file from direct deposit. Automatically pulls the transactions back into the payroll batch for rebuild/recalculation without having to start over. Allows for voiding of duplicates. 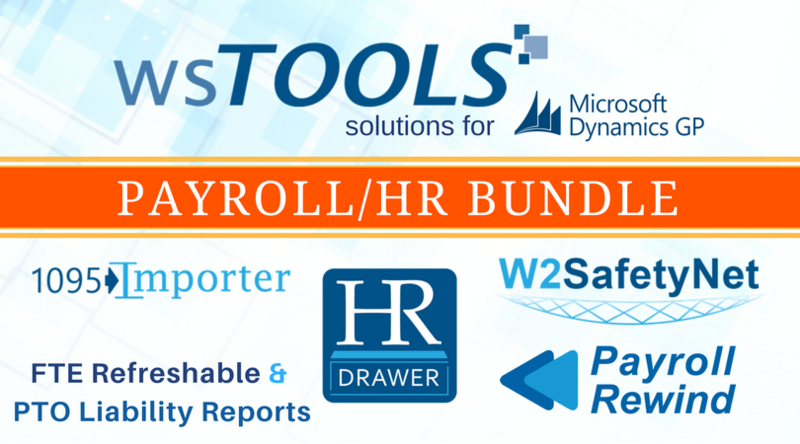 Payroll/HR users can save and archive any manual updates made to W2s and 1095s after year-end close in order to protect them from being lost if year-end close is run again. Multiple snapshots can be captured and recovered if needed. 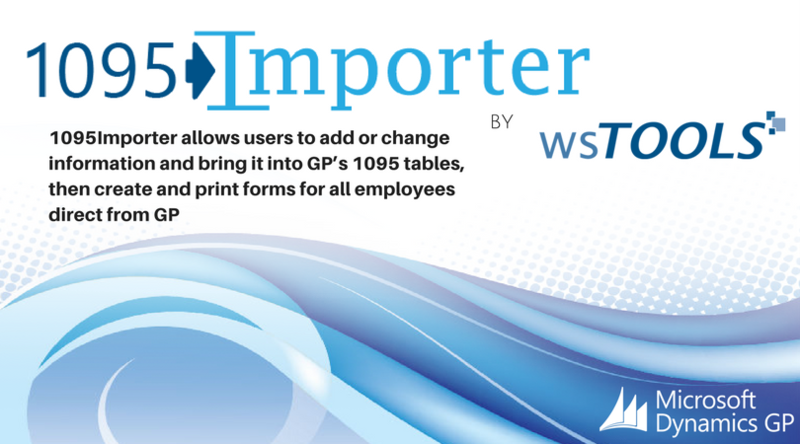 Companies that need to generate 1095s for non-employees, spouses, or dependents, but did not track their information in HR throughout the year, can use 1095Importer to add or change their information and bring it into GP’s 1095 tables to create and print the forms. 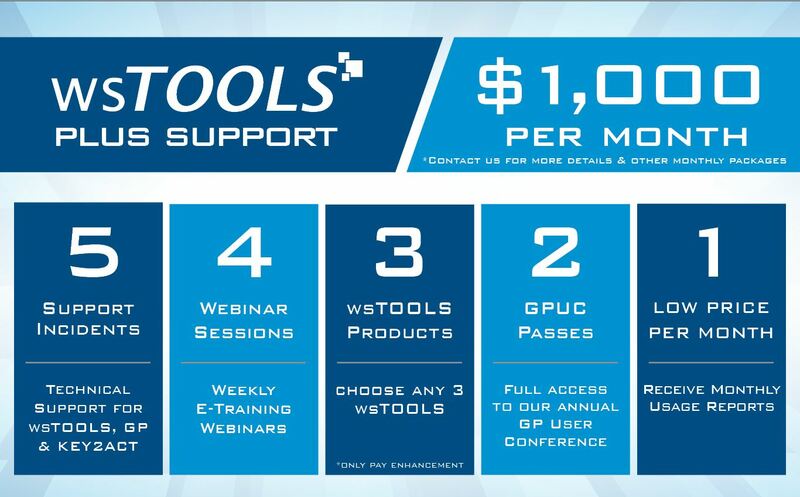 Use your Provider’s file with 1095Importer to streamline this process. FTE Refreshable Report – The Full-Time Report provides a view of a employees and department’s total hours and wages paid for a period of time. This report can be used in reporting to government agencies and for internal uses, such as actual wages vs. budget and forecasting budgets. PTO Liability Report - An easier way to sum up employee sick time and vacation time accruals by department that’s been formatted to copy/paste into GL.